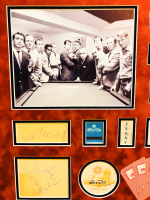 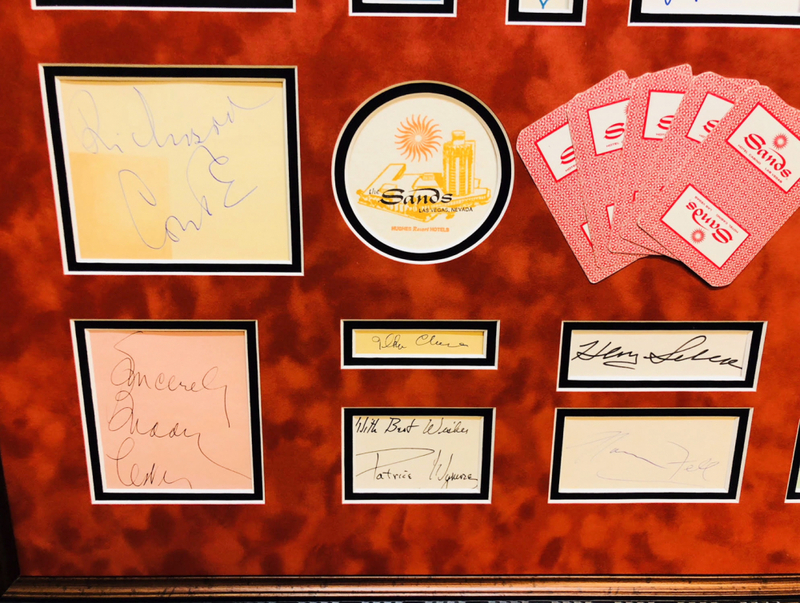 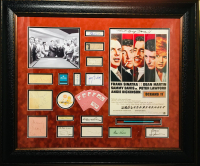 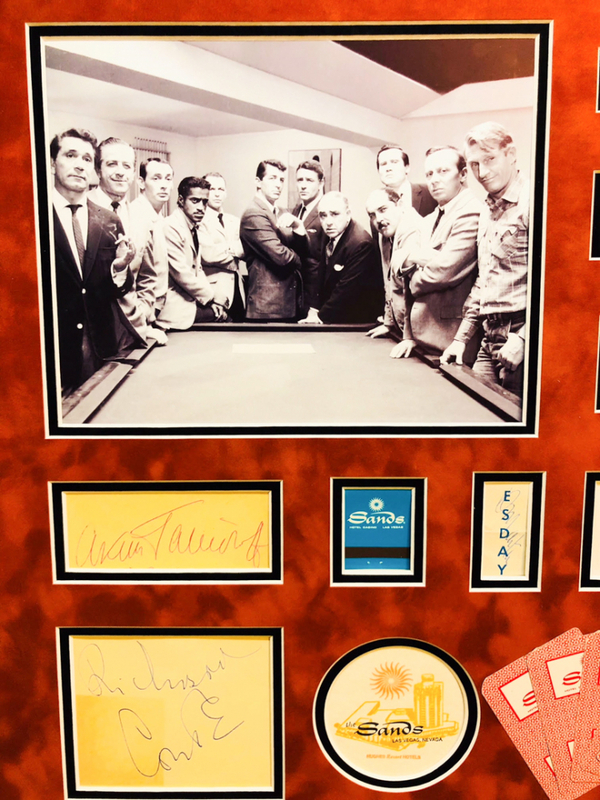 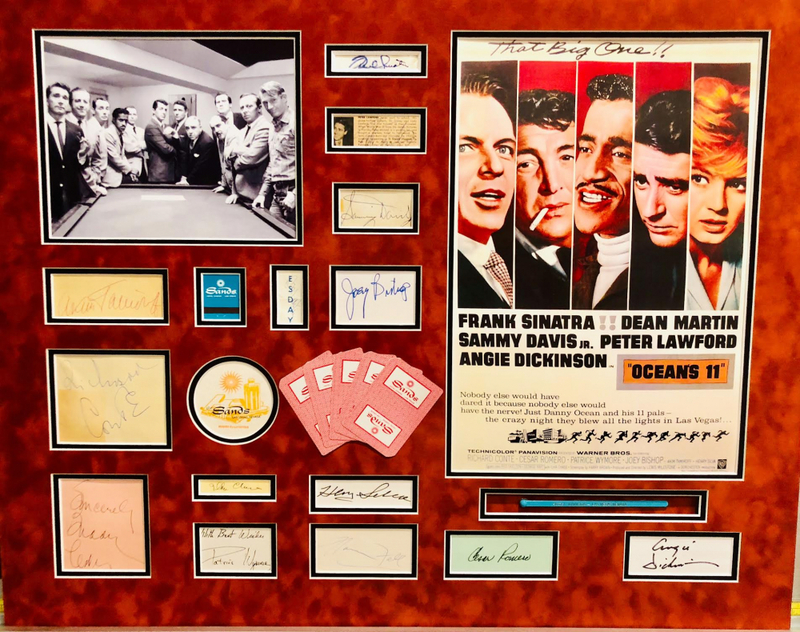 Photo and cut signature display, featuring hand signatures from the cast members of the 1960 classic, “Oceans 11”. 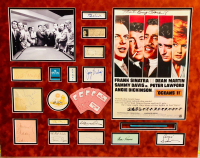 Custom framed with double suede, acid-free mats and premium plexiglass to an overall size of 39 x 32. 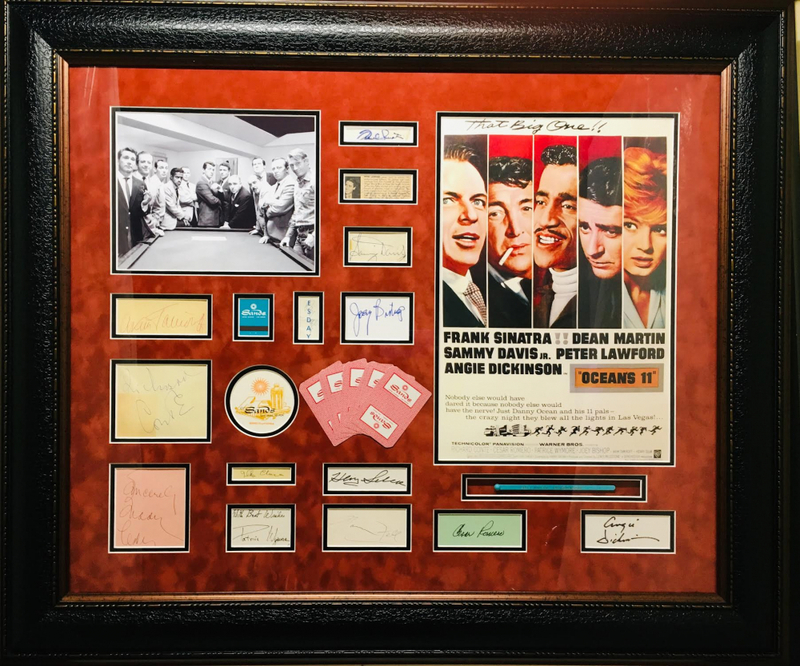 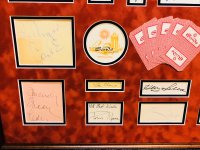 Signed by 14 cast members, including: Frank Sinatra , Sammy Davis, Jr., Peter Lawford, Dean Martin, Joey Bishop, Richard Conte, Henry Silva, Cesar Romero, Ilka Chase, Angie Dickinson, Buddy Lester, Patrice Wymore, Akim Tamiroff and Norman Fell. 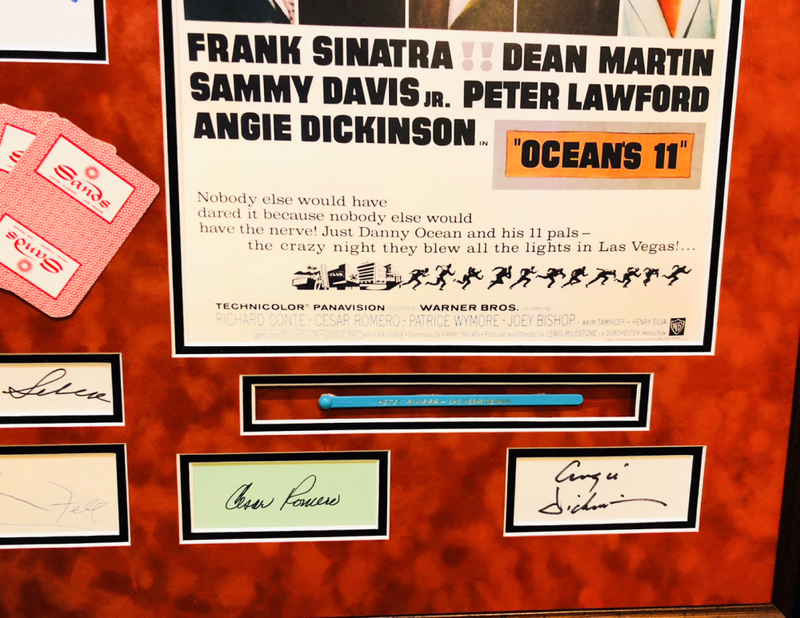 Ocean's 11 is a 1960 heist film directed by Lewis Milestone and starring five of the Rat Pack: Peter Lawford, Frank Sinatra, Dean Martin, Sammy Davis, Jr., and Joey Bishop. 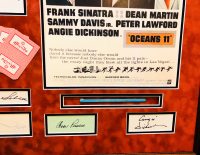 Centered on a series of Las Vegas casino robberies, the film also stars Angie Dickinson, Cesar Romero, Richard Conte, Akim Tamiroff, Henry Silva, Ilka Chase, Norman Fell, Patrice Wymore, and Buddy Lester, and includes cameo appearances by Shirley MacLaine, Red Skelton, and George Raft. 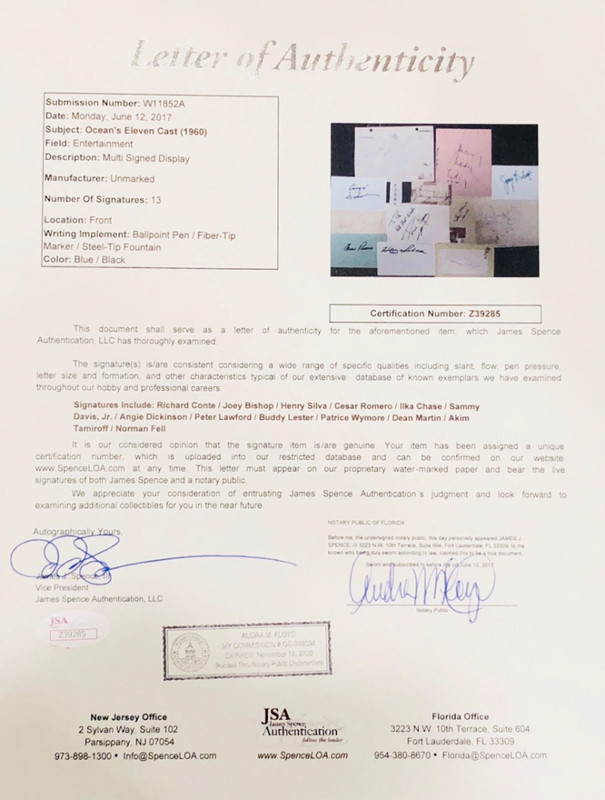 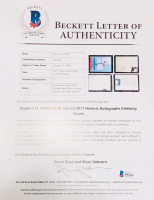 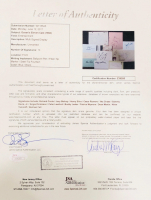 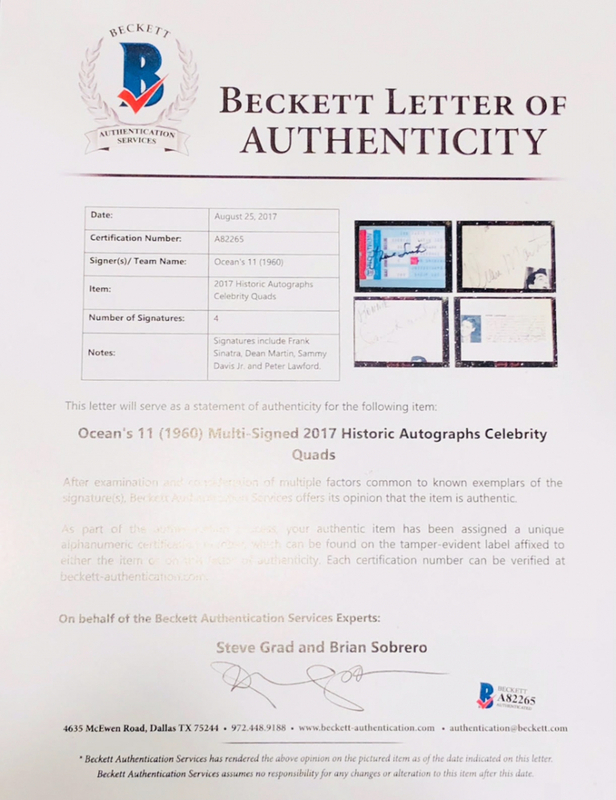 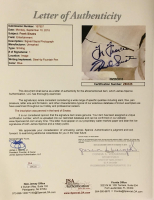 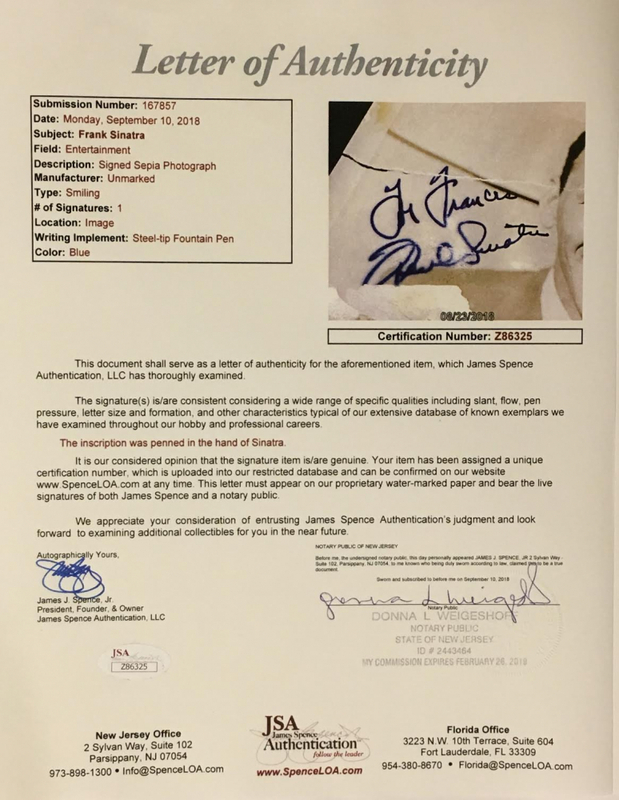 The lot / autograph(s) includes an official James Spence Authentication (JSA) LOA, an official PSA/DNA LOA and an official Beckett LOA for authenticity purposes.